There have been some articles lately claiming that Orval could lose its Trappist label due to the dwindling number of monks at the monastery. I even had people tell me over the weekend that they were concerned about the loss of Trappist breweries. Luckily, I think all of this fear is completely overblown. Anyone concerned about the Trappist breweries likely doesn’t understand how the Trappist approval works. Trappist beer doesn’t have to be made by the monks, but it does have to be produced inside the walls of the monastery, and it has to be overseen by Trappist monks. Technically, the majority of the beer production can be done by non-monks hired from the villages surrounding the monasteries, so long as one of the Trappist monks is overseeing the production. This is currently how many of the Trappist monasteries make their beer and I think it’s a great way to operate. Not a monk, dry hopping Orval at the Orval Abbey. Producing beer this way provides jobs to the surrounding area, helps the monasteries produce enough beer to meet demand, and helps maintain relationships between the monks and their neighbors. So let’s put all this fear to bed, sit back, and enjoy a great Trappist beer (perhaps the new American Trappist!). It won’t be going away any time soon. 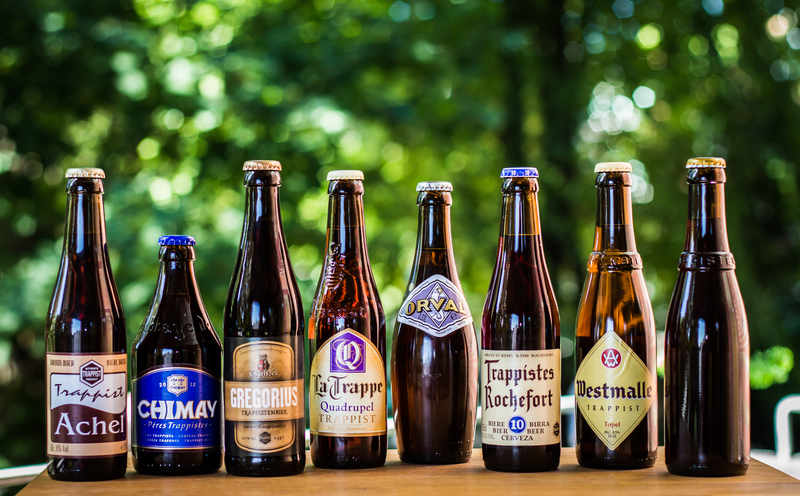 Beers from all of the Trappist breweries except for Spencer, the first Trappist brewery in America.